When I discovered dried bananas made by All Good bananas, I knew I wanted to turn them into a healthier sweet treat. These are a delicious sweet treat in themselves, but I was sure they’d be great mixed with nuts and other nourishing goodies. 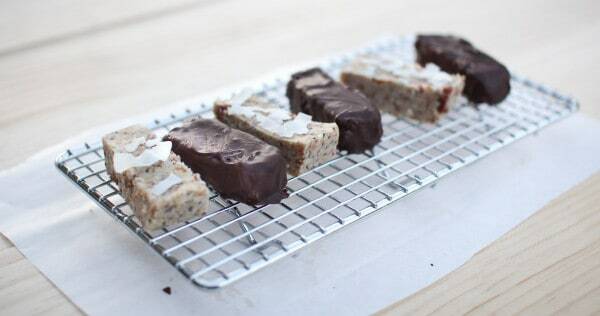 Rather than bliss balls, I made these banana coconut chia bars. They’re really similar to bliss balls but they’re pressed into a bar shape which I quite like for a change. I used cashews and coconut as the main ingredients for the base, as well as some chia seeds which add extra fibre and some plant based omega 3 fats. The taste combination of banana, cashews and coconut gives these bars a delicious tropical flavour and there are some small chewy pieces of bananas in the bar which add to their deliciousness. For an extra treat, you can dip these in chocolate. Then these bars are kind of like a perky nana, only they’re not based on sugar, they’re based on more nourishing ingredients. 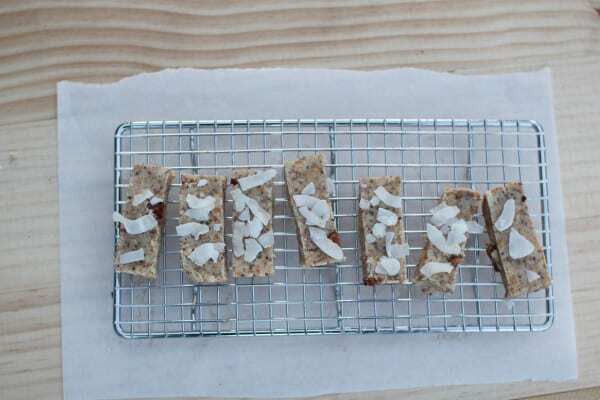 Here’s how to make banana, cashew and coconut bars. Chop the dried banana into smaller chunks. Place in a food processor with the cashew nut pieces, coconut, coconut oil and honey. Blend until the ingredients are well combined into a dough like consistency. Add the chia seeds and pulse the food processor a few times until they are well mixed. Press into a small baking dish (mine was approx 18cm by 13cm). Place in the refrigerator and leave for an hour or two to set. When cool, cut into small bars. Top with coconut chips, or dip in melted dark chocolate. 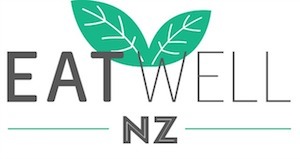 Previous Post: « The life of a nutritionist: Interview with Claire Turnbull. These sound delicious as always Nicola! I have this irrational fear of chia seeds, I tried too like them but I really can’t! Do you think they help hold the bars together or could I leave them out? I could swap for linseed maybe although it would give it a different texture? Hehe. They are kinda slimy when they are soaked, but in a bar they aren’t like that. You don’t really notice them 🙂 They would be fine without the chia seeds. What a great idea for a snack. I’ve just bought a small food processor so there is no excuse NOT to give this a try! ooo these look so tasty! !